"This wonderful salad uses lots of fresh ingredients, and gets better the longer you refrigerate it. 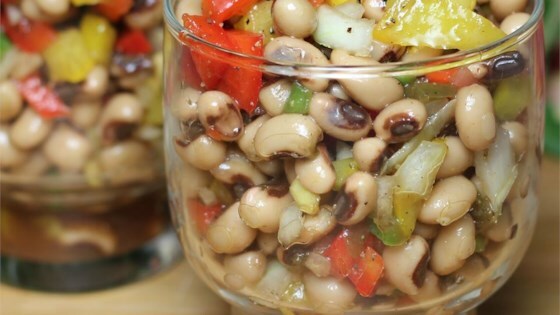 It's a terrific dish to take to a potluck or any kind of get together. " Fabulous Recipie! Only I used fresh pea's, or fresh frozen. Keeps it crunchy! A little too spicy for some of my guests, but DH loved it. Thanks for sharing. Fixed this salad for my Christmas party. Everybody loved it. Best part--can be made ahead. It only gets better with time. My husband loved this. Will make again.